Hi my name is Cassandra, Welcome to Lavish Walls. I am a mum of 3 who started this business in 2013 as a small home business to help with living expenses. 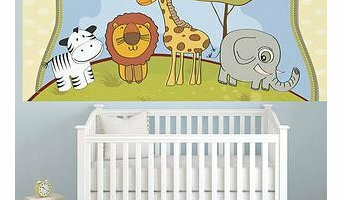 We are located in Esperance WA and we deliver worldwide .Our pre pasted walpaper murals are made from top quality materials and most designs are made in Australia. Once I saw these Murals I knew I had to make them my business, they are a stunning addition to any home or business and at reasonable prices. For general questions or enquiries about custom designs please feel free to email me via the contact page. 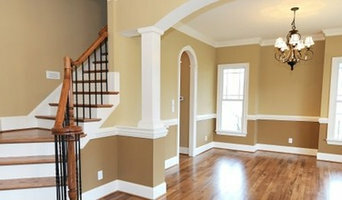 Providing the best painting services that will suit all of your painting needs. 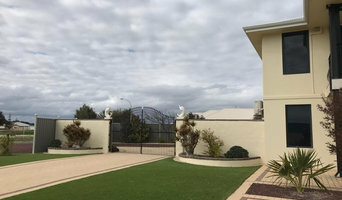 Whether you need a painting job for your home or office, you can be assured that our highly-skilled painters will provide you expert advice and the best quality service that you deserve wherever you are in the Perth area. With over 15 years experience in the painting industry as a fully qualified painter and decorator, we will be reliable, affordable and leave the job as if it were our own property to the highest standard. There is no job too big or small. Please feel free to call for an obligation free quote, for all your interior/exterior painting needs, NO JOB TOO BIG OR TOO SMALL* FREE QUOTE * INTERIOR : * Walls * Ceilings * Doors / Frames/ Skirting EXTERIOR : * Eaves * Gutters * Fascias * Down pipes * Carport Ceilings Thanks for looking. The reason behind our success is simple: We provide excellent customer service and the highest quality finish. We have a proven track record within the painting industry, and are registered with the Painters Registration Board. All our Work is fully insured and comes with a 10 year guarantee. Quality Guaranteed. Our services extend from residential painting into the commercial painting and we provide custom interior and exterior design solutions for numerous blue-chip clients and public bodies. 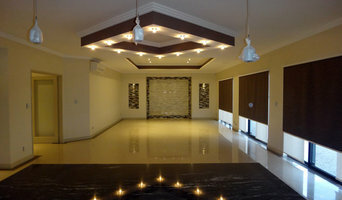 These include complete design / decoration of Flats, Homes, Hospitals, Motels, New Construction, Offices, Restaurants, Retirement Villages, Schools, Shopping Centres, Units, and Warehouses. • Some of the benefits to using Allure Painting Services as your preferred painting contractor in Perth include - • Quick Quote. • Early Start. • Specialising in New Homes & Repaint. • Residential Painting. • Commercial Painting. • Interior – Exterior. • Roof & Pool Painting. • Fully Insured. • Quality Work Guaranteed. Wall Candy is the home of wallpaper in Australia... At Wall Candy Wallpaper, we have proudly cemented our place as one of the country’s favourite outlets for home decorating. Our Highgate showroom is known for being one of the most creative and visually inspiring! We pride ourselves on being ahead of the curve – and import wallcoverings from all over the world, providing the latest trends and styles right at your finger-tips! Don't just take our word for it, take a browse through our online store and discover the endless wallpaper possibilities! CJT Painting and Decorating has a dedicated team who has been in this line of work for the past 15 years. We have the necessary skills, tools, and credentials to get the job done right the first time. Aside from experience, we also provide quality services at affordable rates. We want to give our clients the most value for their money. Decoria Painting provide you the best paint job for the best price and value. It will last longer than any other painter. You can visit our website for our sample projects. Some of these painting projects include painting offices, schools, retirement villages, units, hotels and motels, homes, and warehouses. As a Dulux accredited painter, Painting Solutions have been carefully selected for our experience and the pride we take in every single job. Quality of workmanship is assessed by Dulux, with a 5 year workmanship warranty offered. You can be assured of exceptional levels of professionalism, customer satisfaction and reliability, and we only use quality Dulux products. We are also registered with the Builders Commission and Master Painter’s & Decorator’s Australia. Painting Solutions are fully insured and registered, offering a service second to none. Not only will you have a quality finish that’s easy to clean, it will also be long lasting. Hanging wallpaper is another specialist skill offered by Painting Solutions, having lived and worked in the UK for many years. Thinking you need a painter? Maybe the house needs a refresh! The office hasn’t been painted in years! Your space needs some colour! Maybe you’re just sick of living in dark, dingy or outdated colours! Maybe the colours aren’t conducive to the space! Paint or wallpaper? How do you go about choosing the right person for the job? Do you get three quotes and choose the cheapest? Be aware - not all painters are the same. Forget all the questions and feel confident with a professional who is Dulux registered and accredited. Enjoy the luxury of having your residential space painted by professionals. We’re passionate about painting and decorating and it shows in the quality of the paints and products we use, and the attention to detail in our finishes. Our efficiency means we can be finished quickly, plus you are assured of a clean tidy job. No worrying about splashes or drips on the floor, furniture or windows. You will be assured of a professional finish that will not only enhance your space, but will be long lasting too. We offer an obligation free initial consultation followed by a fixed written quote. Let Painting Solutions take the pain out of painting. Time to change your house to HOME by just hang wallpaper on the wall. Home Wallpaper Australia is specialise in wallpaper supply for residential and commercial. We have thousands of wallpaper designs from modern to classic look. The size per roll is 1.05 meter width x 15.6 meter length which mean the size per roll is 3 times BIGGER than the regular wallpaper in the market. Benefits of vinyl wallpaper : 1). Life span and cost-effective. 2). Modern wallpapers will last between 10 - 15 years, whereas interior paint will need to be redone as often as every couple of years, depending on your household. 3). Wallpaper can last five times longer than paint under normal conditions, making it a very economical choice. 4). You can save 30% of your repainting costs, simply by choosing wallpaper. 5). Water-resistant.